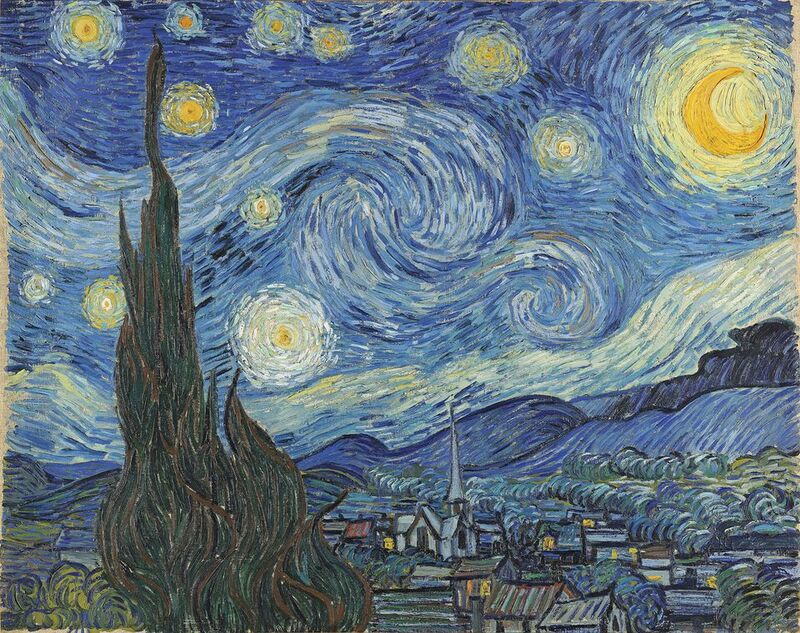 Vincent had made the drawing in 1889 in the asylum of Saint-Paul-de-Mausole to send to Theo in Paris, to give his brother an idea of his painting of Starry Night, which he had just completed. The painting of the swirling night sky is now among the greatest treasures of New York’s Museum of Modern Art. The drawing done for Theo had been donated to the Kunsthalle Bremen in 1918, but it was lost during the chaos of the Second World War. It was seized at a German castle by Victor Baldin, a Red Army officer who took it back to the Soviet Union on a tractor. For decades it remained hidden away and was recorded in the Van Gogh catalogue raisonné as “lost”. I can report that it is now almost certainly in a secret Russian government storage facility in Moscow. Last month the director of the Kunsthalle, Christoph Grunenberg, told me that he still hopes that Starry Night and the rest of the gallery’s missing drawings “will eventually return to Bremen—or at least be available for display”. I saw the Starry Night drawing in St Petersburg in 1992, when I was first developing an interest in Van Gogh. Then a reporter for The Observer, I was on the trail of artworks looted during the war, an issue which was just beginning to gain international attention. Among the largest losses were 1,700 drawings and several thousand prints belonging the Kunsthalle Bremen which had been evacuated to a remote castle—and then disappeared. By 1992 there were unconfirmed rumours that some of the most important Bremen works were secreted away in the vaults of the State Hermitage Museum. I travelled to St Petersburg to meet Mikhail Piotrovsky, who had just taken over as the director. I wanted to discover whether they had been saved and thought the best tactic would be to ask to see just one—so I chose Starry Night. From his tapestry-lined office Piotrovsky escorted me to the Hall of Twelve Columns, then closed to visitors. We ascended to its mezzanine, where after much clanging of keys a portfolio was brought out. Van Gogh’s Starry Night was then extracted and placed on a stand. I shall never forget that moment—coming up close to a “lost” Van Gogh (and one that had never been reproduced in colour). Many of Van Gogh’s ink drawings are now badly faded, but this one had survived relatively well, since it had not been exposed to light for decades. But what disturbed me was the vertical fold down the centre of the drawing, which had left a 2-centimetre tear at the bottom. On the same trip I travelled to Moscow to meet Baldin, then aged 72 (he died in 1997). In his modest apartment, he recounted his story. Although Baldin might first appear to have been a looter, it became apparent that his motive in taking and caring for the Bremen drawings ended up being altruistic. On 5 July 1945 Baldin had been stationed at Schloss Karnzow (80 kilometres outside Berlin) when his fellow Red Army troops moved a wardrobe and discovered behind it a bricked-up doorway. After this was opened up, stairs led below to a cellar. Baldin joined the throng who rushed downstairs, where he found his comrades tearing open boxes of drawings, their contents spilling onto the stone floor. These were the thousands of Bremen drawings which had been evacuated to save them from Allied bombing. He hastily grabbed what he could, in a desperate effort to rescue them. Most of the rest of the collection seems to have disappeared, although a few works later turned up and had been returned to Bremen. Baldin packed 364 drawings—including Starry Night—into his modest suitcase. A few days later he was put in charge of organising a forced march of Red Army “traitors” who had been captured by the Nazis and coerced into fighting for Germany. These unfortunate men were made to walk more than a thousand kilometres back to the Soviet Union. The emaciated and exhausted men plodded on foot, carrying their meagre possessions and unaware their ultimate fate. Baldin followed behind on a tractor, his precious suitcase hugged close to him as he slept. When Baldin eventually reached his home in Zagorsk he unlocked the suitcase for the first time. “I just couldn’t believe what I had,” he told me. Along with the Van Gogh were works by Dürer, Veronese, Van Dyck, Rembrandt, Tiepolo, Degas and Toulouse-Lautrec. Baldin kept the drawings at home for three years and then handed them over to the Museum of Russian Architecture, where he worked as a young curator. He felt that the fragile artworks should be looked after by a museum. By 1963, when Baldin was promoted to be the museum’s director, he thought the drawings ought be returned to Bremen—but this would have been impossible during the Cold War. Communism began to falter and in the uncertain days of 1991 the KGB security agency ordered that the drawings should be secretly moved from the architectural museum to the Hermitage. When I met Piotrovsky in 1992 he told me of plans to exhibit the Baldin drawings and there was a display later that year and then in Moscow. Piotrovsky had been furious to learn when he took over as director that artworks from Germany were being held in the museum’s secret store, feeling that art should be shared with the world. The short displays were his response. 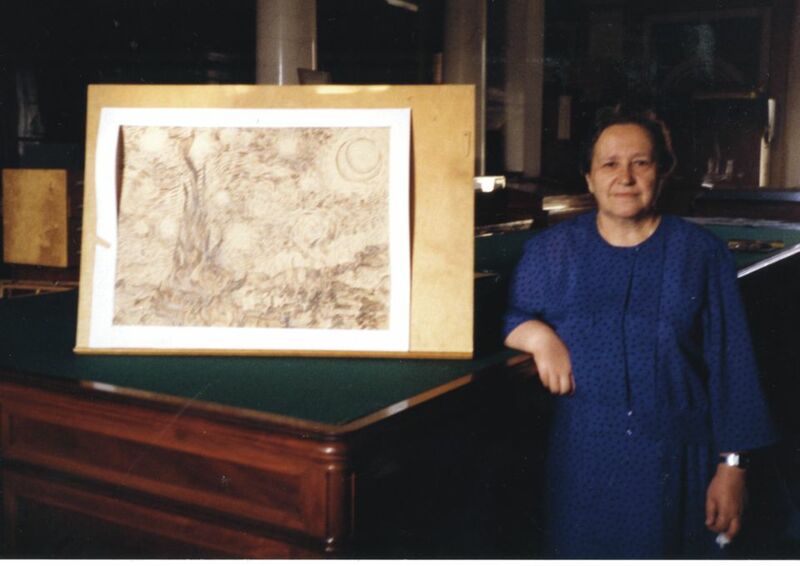 During my 1992 visit to Moscow, I asked Tatyana Nikitina, the culture minister, what should happen to the Bremen drawings. She responded: “We have to give them back.” The Bremen Kunsthalle tried to secure the return of the drawings and there were lengthy negotiations, but any move was eventually blocked by the Russian government. In 2005 a new culture minister opposed restitution. Piotrovsky was then ordered to hand over the drawings to the Ministry of Culture. To this day the Russian government still holds the collection at a secret location, believed to be a storage facility somewhere in Moscow. 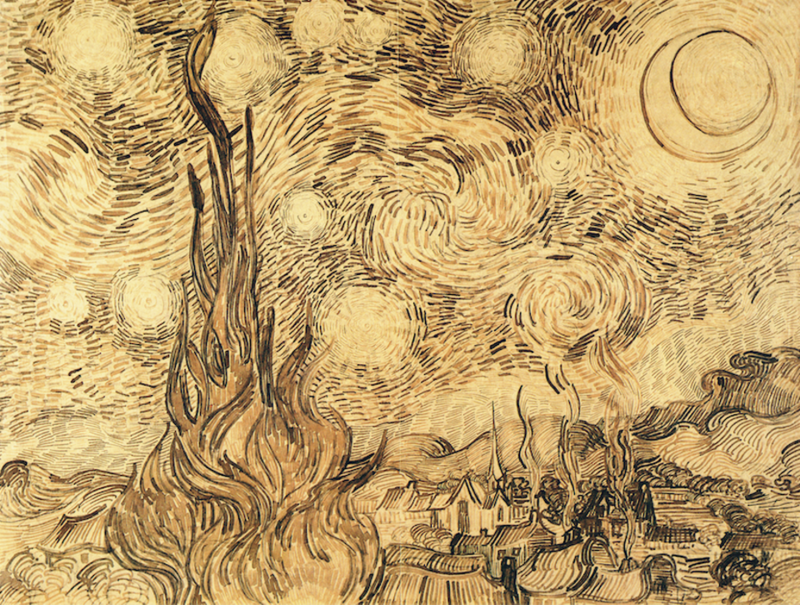 Van Gogh’s drawing of Starry Night continues to languish unseen—yet one more victim of the Second World War. Martin Bailey is a leading Van Gogh specialist and investigative reporter for The Art Newspaper. He has curated Van Gogh exhibitions at the Barbican Art Gallery and Compton Verney/National Gallery of Scotland; he is now co-curating Tate Britain’s The EY Exhibition: Van Gogh and Britain, opening in March 2019. He has written a number of bestselling books, most recently The Sunflowers are Mine: The Story of Van Gogh's Masterpiece (Frances Lincoln 2013) and Studio of the South: Van Gogh in Provence (Frances Lincoln 2016).